I am not naturally an organized person, so I get really excited when I find things that help me and my kids stay on track. This school year we started using The Workbox System. 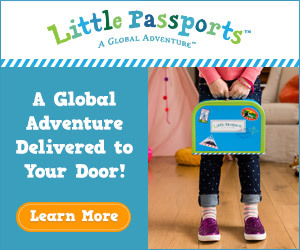 I heard about this from numerous homeschooling resources. 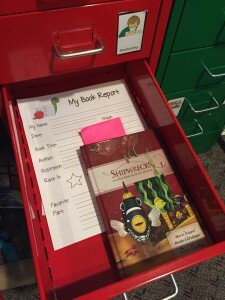 It has helped me stay organized and has been a great motivator for the kids. Drawer unit from Ikea. I went with the ones from Ikea because I thought they were cute and I could get them in different colors. 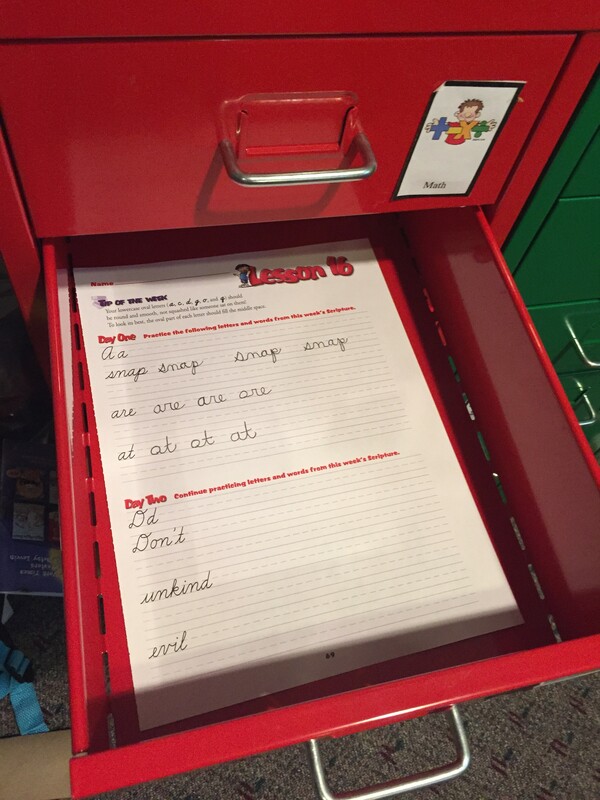 Label each drawer with one subject. I used the subject labels provided by Confessions of a Homeschooler. 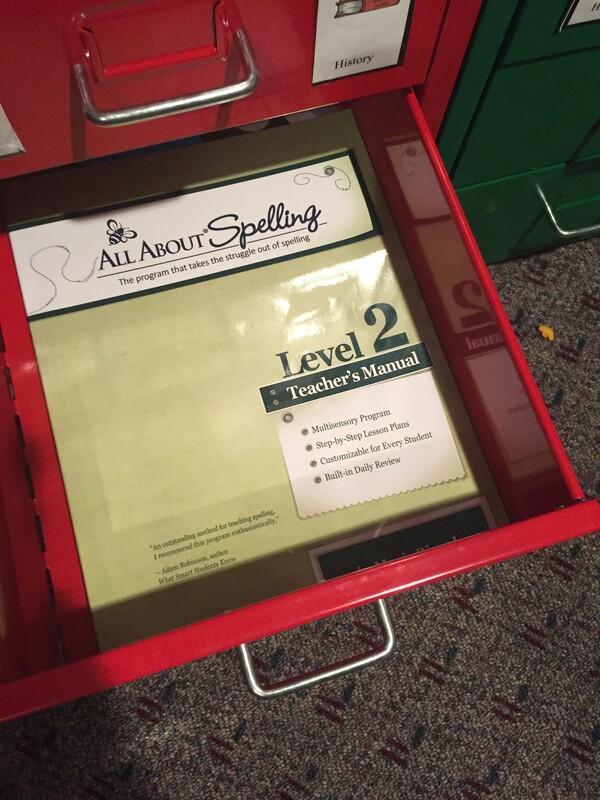 Put all items needed to accomplish the subject in their corresponding drawer. The student chooses a subject drawer, takes out its contents and begins working. 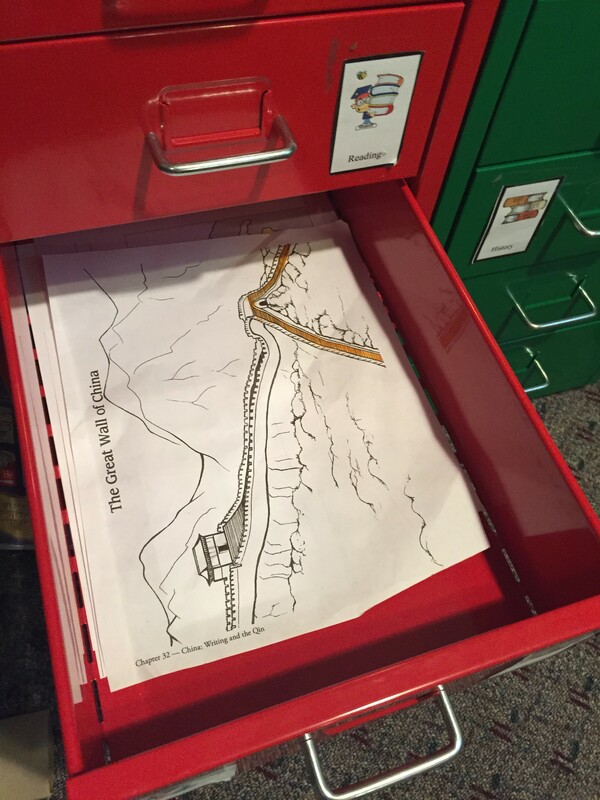 When the assignment is done, the child places it in the completed teacher box to be reviewed. When the drawers are all empty, refill them for the next day. These subjects share a drawer because we don’t do history and science every day. They are alternated. 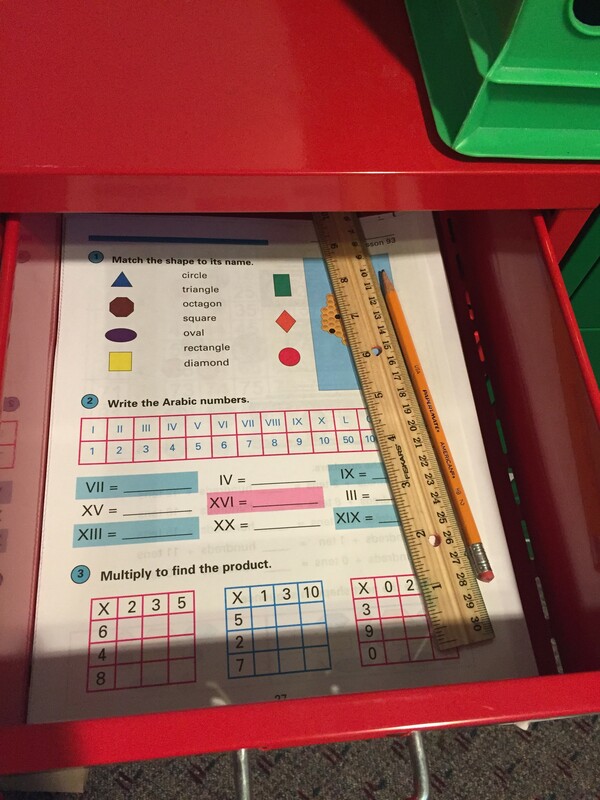 What’s nice about the workbox system is that my kids know exactly what they need to complete for the day and they are motivated to go through the drawers to be finished with school for the day. The other day I told the kids to get started with their work while I got the baby down for a nap. When I went downstairs to check on them, my daughter was done with half of her math assignment and my son completed his handwriting page. I also allow them to work on their assignments in any order that that like. My daughter usually starts with math because she likes to get it over with. My son usually starts on Handwriting or Reading. 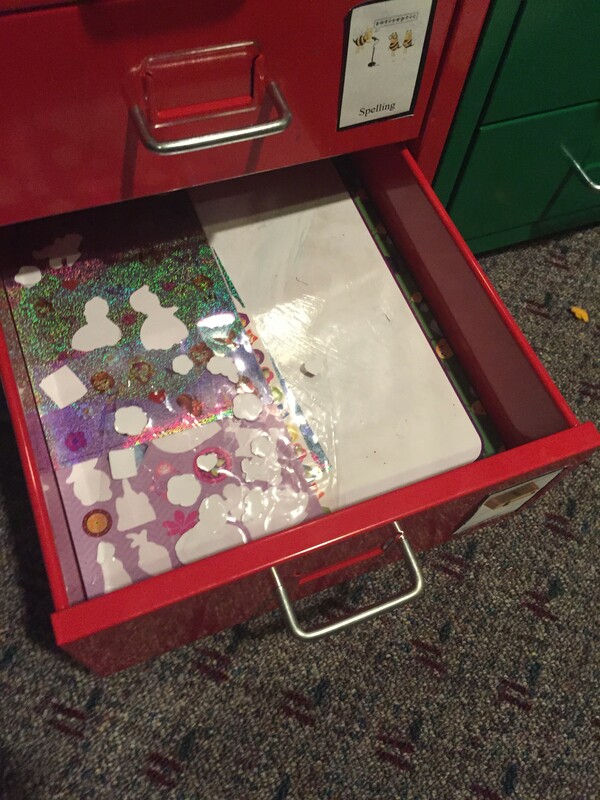 I think the drawers also promote independence for the kids. They don’t need my help every second of the morning. When I am working with my son on reading and my daughter needs help with something, she knows that she can pause what she is doing and get something out of another drawer to work on until I am done teaching my son. Do you use the workbox system? What do you think? Have you ever used this system? Has is worked for your family? Let me know in the comments. I found your blog because I googled Helmer and workbox system and your link popped up! I’ve been debating trying the workbox system for a while now and was trying to find a relatively inexpensive option for storage. Enter Helmer! How are they holding up for you? Do you still like them? The Helmer drawers have held up really well. We used them last year and they survived a move to a new house. The drawers slide in and out easily and I like that they are metal so I can stick magnets on them. They were kinda a pain to put together because they come in metal sheets that you fold into drawers, but once you have them built I think you will really like them.The interior drawer dimensions are Length: 15 in. Width: 9in and Height: 3in. I hope this helps! Let me know if you purchase the drawers and like them! One more question — could you possibly tell me the interior dimensions for the drawers? IKEA isn’t very close to me so I’d rather know before I drive all the way there. Thanks!